Due to the overwhelming popularity of the Celebrating Sinatra show in August, we’ve decided to combine a reprise of the Sinatra show with our annual SMP Holiday Fundraiser on Old Blue Eyes actual birthday, December 12. Join us for a soulful, swinging centennial salute to the life and music of a beloved American Icon with a few holiday favorites thrown in to celebrate the season. This show is now SOLD OUT. If you would like to be on the cancellation list please email us at mail@siskiyoumusicproject.com and we’ll let you know if we have a cancellation. Siskiyou Music Project closes it’s fall series in a special salute to The Chairman of The Board, Frank Sinatra, born 100 years ago on December 12, 1915. Celebrating Sinatra on the 100th anniversary of his birth, we will delve into the Sinatra Songbook from the first 3 decades. 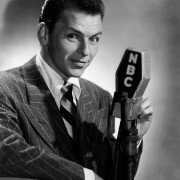 The performance will include Sinatra favorites such as Come Fly With Me, In The Wee Small Hours of the Morning, One For My Baby and many others as well as some jazzy holiday favorites. Siskiyou Music Project welcomes back New West Guitar Group with special guest vocalist Halie Loren for a performance at the Artistic Piano Gallery in Medford. With seven studio albums to their credit, New West Guitar Group latest release “ Send One Your Love” features an incredible cast of guest jazz vocalists. Teaming up with Gretchen Parlato, Tierney Sutton, Sara Gazarek, Becca Stevens and Peter Eldridge, the album tells a story about the highs and lows of love. Each vocalist is featured on a traditional and contemporary standard with lyrics that portray themes of vulnerability, hope, pain and happiness. Seattle Times hails NWGG as “sharp and refined” while All Music Guide says the trio’s expert arrangements “sometimes verge on the orchestral.” The band lives up to their reputation on Send One Your Love showcasing their thoughtful arrangements specifically done for the sound and style of each vocalist. The project brings together timeless compositions from Cole Porter, Joni Mitchell, Kurt Weill, Randy Newman and others through the sophisticated New West style of arranging. The result is a beautifully crafted and cohesive album that expands the notion of what is a “standard” to tell a story about of love. For their concert at the Artistic Piano Gallery, the NWGG is joined by vocalist Haile Loren. A fantastic jazz vocalist based in Oregon, Halie’s voice has been hailed as having “a power and grace that are nearly unheard of”. 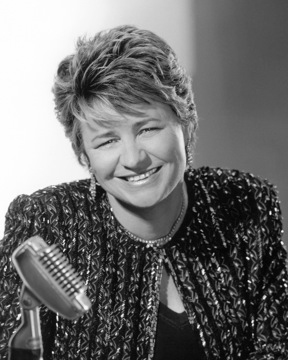 Her recent album titled “Butterfly Blue” has received praise for its “perfect balance of classic and original jazz songs”. For their 9th performance in the Rouge Valley in 10 years, New West Guitar Group is excited to have their debut performance with Halie Loren at the Artistic Piano Gallery. SOLD OUT: Email or call 541-488-3869 to be on the cancellation wait list. Siskiyou Music Project presents an evening of guitar magic with guitar virtuoso Mimi Fox! This exciting performance will feature Mimi eloquently rendering the music of The Beatles, all performed with Mimi’s signature harmonic interpretation and emotional depth. This show will feature Mimi in a solo and all acoustic setting. 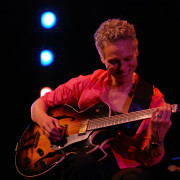 She will also be joined by long time friend and associate Ed Dunsavage for several guitar duets. World renowned guitarist/recording artist/composer Mimi Fox has been named a winner in 6 consecutive Downbeat magazine international critics poll. She has performed with music legends as diverse as Stevie Wonder and Branford Marsalis and has headlined the most prestigious venues from the Newport Folk Festival to the Montreal Jazz Festival. Mimi was recently honored with her own Artist signature model guitar from Heritage guitars joining a select and illustrious group of players: Roy Clark,Kenny Burrell,and Henry Johnson. Mimi is the first woman in any genre to be so honored by any of the major guitar companies. To learn more about Mimi visit her website. Siskiyou Music Project welcomes back by popular demand, Seattle based Gypsy jazz group Pearl Django to our Jazz At The Vineyard Series. Now in their nineteenth year of performing, Pearl Django continues to be one of America¹s most respected and busiest Hot Club style groups. Though still strongly influenced by the music of Django Reinhardt, Pearl Django¹s repertoire now includes many original compositions. 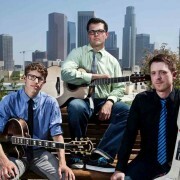 Their music reaches out across the divides of taste to a wide variety of audiences. 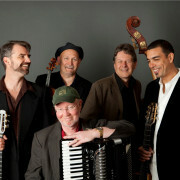 The band’s fervent followers include Django Reinhardt and Stephane Grappelli fans, guitar enthusiasts (and guitarists! ), lovers of string music, including bluegrass devotees, who relish nimble, clean, intricate picking, “world music” fans drawn to French and Gypsy accents, plus jazz buffs and aficionados of the new swing music. Transcending simple categorization, Pearl Django packs in enthusiastic audiences at dancehalls and nightclubs, at folk music festivals and jazz festivals alike. The group¹s inception was as a trio in Tacoma, Washington in 1994. The focus of Pearl Django was, and is, to incorporate the music of Django Reinhardt and Stephane Grappelli with American swing music. They quickly expanded to a quintet, adding a violinist and a third guitarist. An interview on NPR¹s All Things Considered in 2001 brought the group to national attention. In June 2002, Pearl Django performed at the prestigious Festival Django Reinhardt in Samois sur Seine, just outside of Paris, France. They recently recorded their 12th CD, Time Flies and are currently touring to promote the new release.